We would like to extend a personal invitation for you to join us and other key members of our Live and Invest Overseas team on our first-ever European Wealth Cruise taking place April 7–14, 2019. 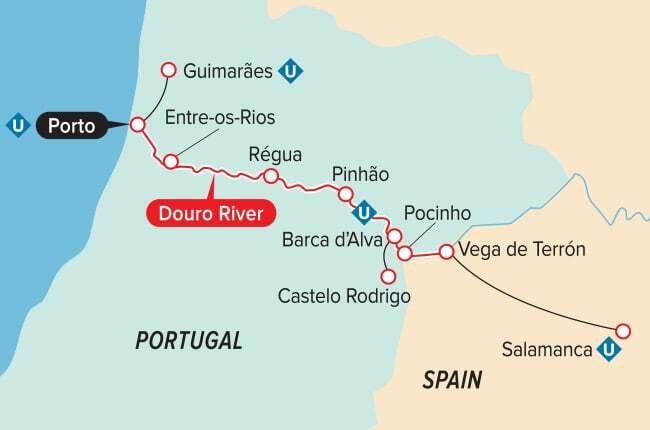 For this special event, we’ll be voyaging Portugal’s Douro River on board one of the finest river cruise ships in the world, the Queen Isabel. We’ll meet in the beautiful city of Porto then depart for seven days of adventure and discovery, experiencing together the history, culture, gastronomy, legendary vineyard estates, and stunning vistas of the Iberian Peninsula… all in the company of like-minded venturers and world-class wealth experts. This is a rare chance to explore one of the world’s most delightful regions while, at the same time, gaining insights into the best current opportunities for living and investing across Europe. Where and how can you position yourself for real upside and long-term profits and appreciation on the Continent? Our team will reveal and detail your best options for owning real estate, precious and rare metals, and productive land as a strategy for building lasting wealth… and having a grand adventure in the bargain. We’ll enjoy bespoke excursions—including a visit to a local cork factory and an afternoon of wine tastings—while trying this captivating part of the world on for size… and considering with expert guidance the most interesting options for making money here while also having a whole lot of fun. A meandering river cruise through the Old World in the company of a small group of open-minded, forward-looking, adventure-seeking, and profit-eager folks? We can’t imagine a better way to spend a week next April. It’s a golden opportunity to discover this region whose river is said to shimmer like liquid bullion in the setting sun. We very much hope you will join us for what we predict will be an experience of your lifetime. 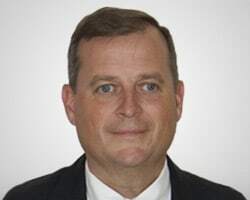 Chairman and CEO of ECI Development, a multi-country developer with projects in four Latin American countries, Mike Cobb has enjoyed a long career in the real estate development and investment industry. Initially forming Exotic Caye International, a company that provided loans to North Americans purchasing properties in Belize, Honduras, Costa Rica, and throughout the region, the need for capital eventually outstripped the supply, so the mortgage company was converted to an international bank under the jurisdiction of Belize. 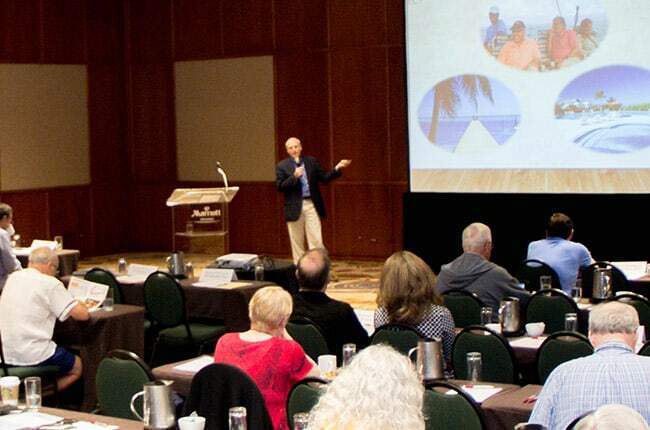 Now focusing on consumer need, Mike led the group into real estate development and created a holding company called ECI Development for several properties including a resort on Ambergris Caye, Belize. 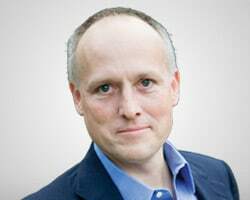 During your time together, Mike will bring his portfolio to you and provide one-on-one consultations, review your investment portfolio, suggest future financial movements tailored to what's right for you, and project where those investments will go to ensure a strong return for your future and to provide for your generations to come. 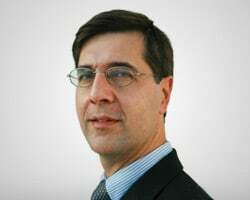 João Gil Figueira, managing partner of Lugna, is an international tax lawyer and business consultant regarding taxation, residency, and asset protection in Portugal and in Portuguese-speaking countries. He has extensive experience advising on the legal aspects of cross-border investment in several industries, specifically finance and real estate. 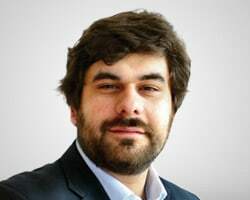 João is a lecturer of taxation in the master's program of Nova School of Business and Economics, a top Financial Times-ranked university in Lisbon. He has authored several legal books, articles, and guides on Portuguese business and tax law. During his session, João will provide comprehensive and well-rounded advice to investors on living and investing in Portuguese-speaking jurisdictions. Joel Nagel, founder and managing partner of international law firm, Nagel & Associates, LLC, is one of the world's leading authorities on asset protection. Much of Joel's focus is on helping clients select the right jurisdiction for a transaction and the best vehicles, such as joint ventures and other international legal structures, to reduce taxation and protect assets. He created his firm's Personal Asset Protection Program and has developed sophisticated international estate plans encompassing trusts, corporations, partnerships, and insurance products. During this special event, you will have the opportunity to work directly with Joel to select the right structures, strategies, and jurisdictions for you so that you can manage and reduce your tax burden, protect your assets, and leave a legacy for your heirs. Luis da Silva has more than 25 years of business experience, with almost 20 years of experience in international real estate markets as an investor and consultant (his focus during the last decade has been on senior or retirement living). 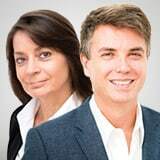 He is the founder and director of Senior Living Villages, a U.K.-based company, and co-founder and director of Algarve Senior Living, based in Portugal. The company also operates in Spain's Costa Blanca and Costa del Sol. During the cruise, Luis can advise you on a range of subjects affecting international retirement migration to the Algarve and U.K., including tax, health, real estate, climate, and languages, and, more importantly, he can offer a variety of European investment opportunities dealing with fixed-income investment in the retirement sector. Experience Portugal’s Douro River on board one of the finest river cruise ships in the world, the Queen Isabel. We’ll meet in the beautiful city of Porto then depart for seven days of adventure and discovery, experiencing together the history, gastronomy, legendary vineyard estates, and stunning vistas of the Iberian Peninsula. Learn where and how you can position yourself for real upside and long-term profits and appreciation in Europe. Our team will reveal and detail your best options for owning real estate, precious and rare metals, and productive land as a strategy for building lasting wealth. Enjoy stimulating conversation with a small group of open-minded, forward-looking, adventure-seeking, and profit-eager folks. Share in the spirit of adventure, the passion for learning, and the joy of new friendships. 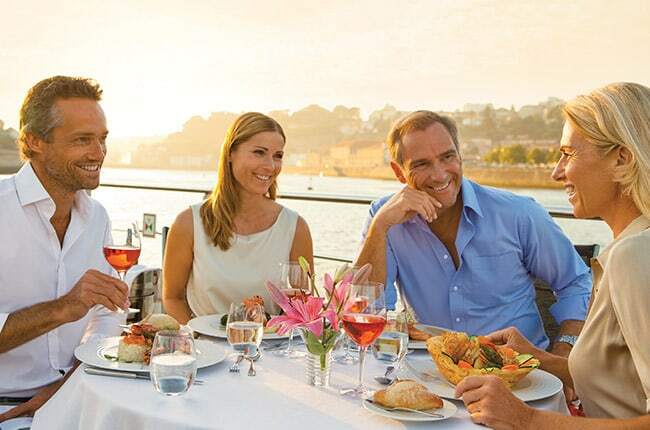 The wonders of Portugal and Spain await right outside your window, and the unforgettable attractions ashore may be the only things to convince you to leave the all-encompassing comfort and luxury of your stateroom or suite aboard the world's best river cruise line! Feast your eyes and uplift your soul while visiting incredible destinations, including Porto, Guimarães, Entre-os-Rios, Régua, Pinhão, Barca d’Alva, Castelo Rodrigo, Pocinho, Régua, Vega de Terrón, and Salamanca.